Disclaimer: I received a free set of Plantronics BackBeat Fit Headphones to review as a BibRave Pro. Check out BibRave.com to learn more about becoming a BibRave Pro (ambassador) and also to find and write race reviews! The first one has to do with where I do most of my running. 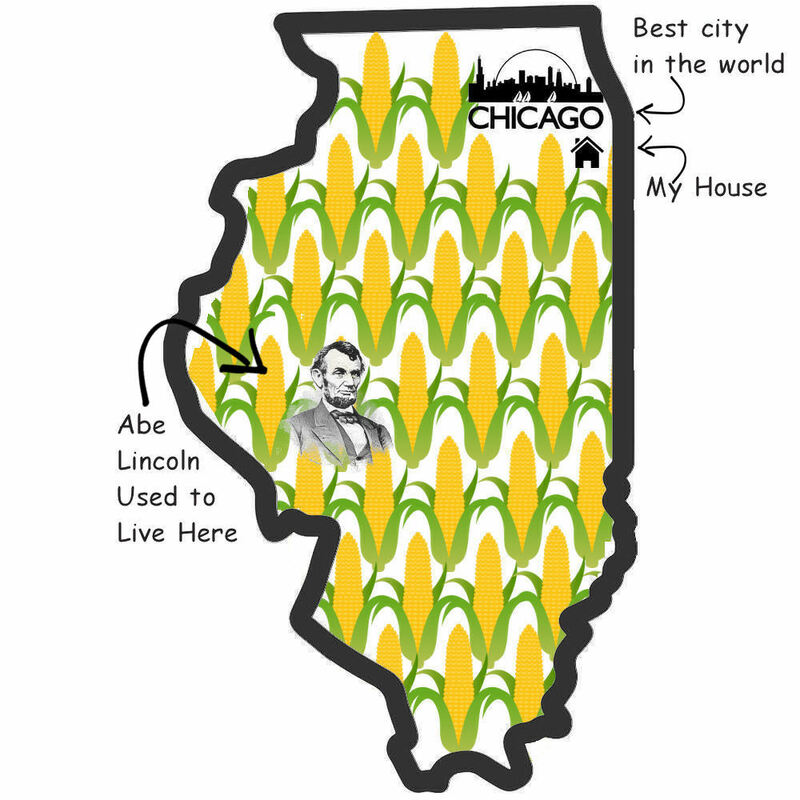 You see, I live in the Chicago area, but the specific town that I live in is literally as far South of the city as you can go and still be considered to be a Chicago suburb (and I really mean “literally” – Peotone sits on the southern county line of the furthest Chicago area collar county). There are a lot of cornfields. And living as far south of Chicago as I do means that many of these cornfields are close to my house. What this means is that there are also miles and miles of back country roads to go running on. I love this. I’m fortunate enough to live a little over a half hour away from a world class city while also being able to do a lot of my long runs on wide open country roads where I can run for miles without ever seeing a single car…. But that’s also a double edged sword. You see, the handful people who do happen to drive on the same back roads that I run on also know that they aren’t likely to see any other cars while they’re out. So when they drive, they tend to put the hammer down and go somewhere between about 80 and 100 mph. If you go out for a run and don’t get enough advance notice that there’s a car coming, there’s a pretty good chance that you’re going to get splattered across the pavement. I found this out the hard way when I went for one of my first runs out in the country and had to dive off of the road into a cornfield to avoid an oncoming Corvette that flew by me without ever slowing down. I don’t like having to dive into cornfields. Cornstalk leaves hurt. They’re a lot sharper than they look. So, while there might not be very many cars, I still have to have all of my senses working for me when I run on the back roads to avoid getting hit by the few that are out there. This means that headphones are generally out of the question since I won’t be able to hear what’s going on around me as well if I wear them. Every single pair of headphones that I’ve ever tried to wear during a run has sucked. I’m not kidding. I’ve tried almost every model available and they’ve either looked stupid, didn’t fit right, or their audio quality was so bad that they weren’t even worth listening to (in some cases it was all of the above). To show you what I mean, let’s take a look at some examples of the different types of headphones that have been available to runners throughout the years…. Looking at these late 70’s / early 80’s headphones makes me want to put on a heavy polyester bell bottomed track suit and a headband and go for a run while I listen to my Sony Walkman. Bad looks aside, these things were extremely uncomfortable. They not only dug into your ears and the top of your head, but the pads that covered the speakers absorbed sweat and would be soaking wet by the end of a run. The moisture would eventually ruin the speakers, which were already crappy anyway. The audio quality of headphones like this was roughly the equivalent of trying to listen to a cassette tape inside of a tin can. 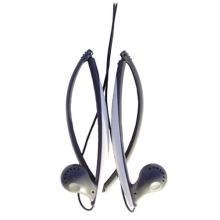 In the 90’s we had these Discman style headphones. These folded up conveniently (although that wasn’t always a good thing because they had a tendency to pull your hair when it got stuck in the hinges). The manufacturers also got rid of the speaker pads, which was nice, but other than that, they really weren’t much better than the earlier models. Back then, trying to run with a big ol’ bulky CD player was already annoying. Having to deal with crappy audio quality and uncomfortable headphones on top of it was enough to make most runners cringe…. That brings us to these. Sometime around the early 2000’s, with the introduction of iPods and MP3 players, ear buds started to make an appearance. While these do have better sound quality than the older headphones that were available in the 80’s and 90’s, they’ve still always annoyed the crap out of me because I can never get them to stay in my ears. I’ve tried all of the different sizes, shapes and attachments. After a while I gave up because even the ones that fit snugly in my ears would inevitably still fall out after I accidentally bumped the cord with one of my arms during a run. As a side note: I will freely admit that Casey Niestat is a lot cooler than I am. If you haven’t heard of him before you saw the video I posted above, you should really check out his other videos too. In fact, I wouldn’t blame you if you wanted to leave my site right now and spend the rest of your day watching them. They’re addictive. Start with this one, this one, and this one and then go from there…. I think I’ve made it pretty clear that every one of the styles of headphones that I’ve mentioned above has some type of flaw. After years of trying to find the right ones only to get nothing but frustration, one day I pretty much just threw my hands up in the air and gave up on listening to music while I run altogether. And I was fine with that decision. Until last week. 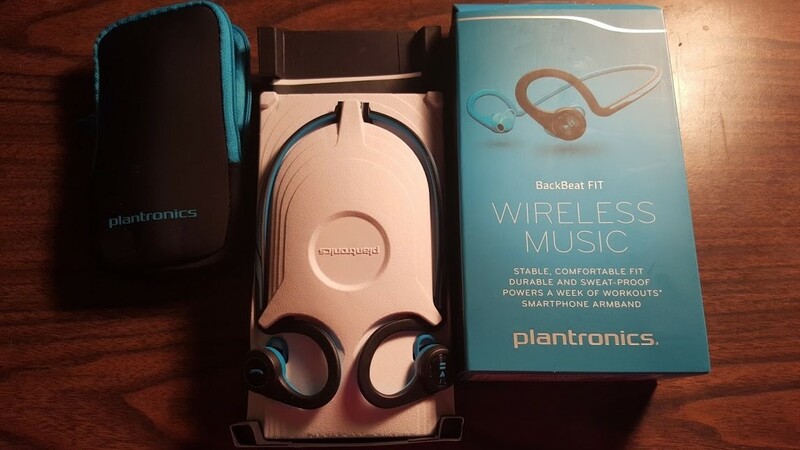 Last week, I got a pair of BackBeat Fit Wireless Headphones from Plantronics. Full disclosure – I got these for free, so I’d like to say thanks to the the folks at BibRave and Plantronics for hooking me up. 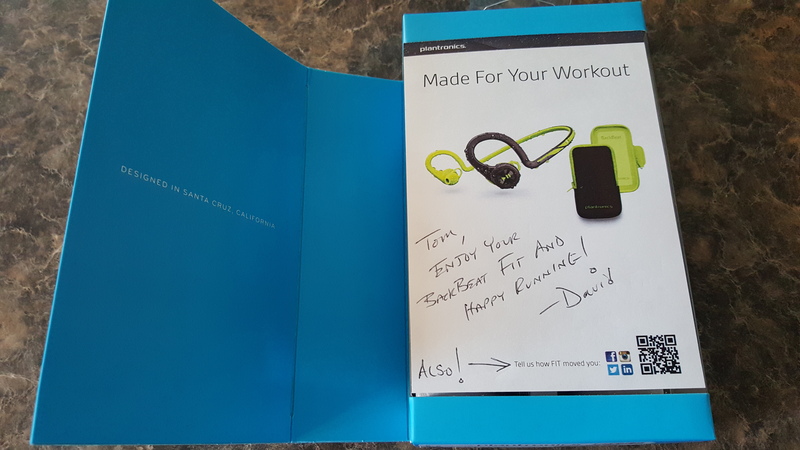 Also, thanks to David from Plantronics for adding a personalized note inside of the box they were sent in. Before I talk about the headphones, here’s a little info about Plantronics itself: the company is based in Santa Cruz, CA and has been been around for over 50 years. 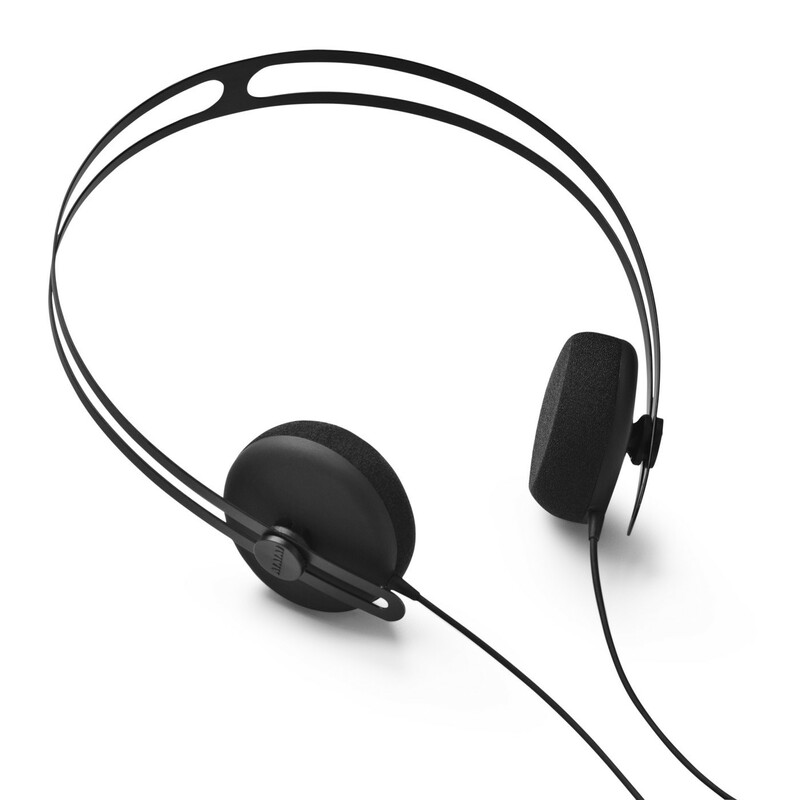 Plantronics has a wide variety of audio products that are used by everyone from 911 operators to pilots and astronauts. 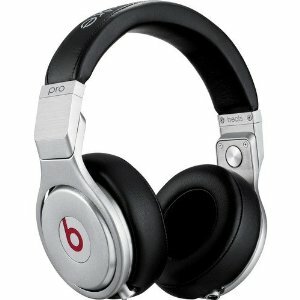 The company also pioneered noise cancelling technology, mobile headsets, and personal speakerphones. So their engineers are not only extremely innovative, but they also know how to meet the needs of their customers really well. They’re wireless. That’s already great by itself, but even better than that is the fact that they pair easily with any Bluetooth enabled device. When I got my new headphones, all I had to do was turn them on and my phone found them and asked me if I wanted to pair them to it. Within a few seconds, I was listening to Tick Tick Boom by The Hives through my new headphones without having to worry about getting tangled up in annoying wires. They’re water resistant. I hesitate to say “waterproof” because Plantronics doesn’t suggest that people swim with them. But that’s fine. The key here is that these are a far cry from earlier headphones whose speakers would get ruined by too much moisture. I’ve also read some reviews that say that you actually can swim with them, so if you want to do that, it might work, but you’ll have to try it at your own risk. They’re comfortable. They have soft hooks that hold them in place on your ears without feeling annoying. In fact, I barely noticed them at all. The ear tips also fit comfortably in my ears. There’s only one thing I have to mention here though – the ear tips that come with the device feel comfortable for me personally, but for other people who prefer different tips, there doesn’t seem to be any way to swap them out. So that might be something to look into for future models. The audio quality is great. No more listening to music that sounds scratchy, distant, or garbled. The best part is that the ear tips are specially designed to allow the people wearing them to also hear ambient noises. So as long as I don’t turn my music up too loud, I can hear cars coming while I run with my BackBeat Fit Headphones. Nice! They’re durable. You can bend them and twist them all you want and they’ll bounce right back into shape and sound good as new. You can see what I did to mine below. After I untangled them, they still worked just fine. They have great battery life. The battery lasts for a few days and there’s also a free Plantronics Battery Meter app you can download that will show the remaining battery life for your headphones on your phone. Also, when you aren’t using your headphones, you can put them into hibernate mode to extend their battery life. They have on-ear controls that are easy to use. With a single tap of the buttons on the sides of the headphones, you can play, pause or skip music tracks and accept or ignore phone calls. They look great. In addition to not being overly bulky, BackBeat Fit Headphones come in a variety of colors. Every pair also ships with a neoprene armband for your smartphone. A new pair of Backbeat Fit Headphones retails for $130 on the Plantronics Website, but you can get them on Amazon for about $80. That might sound pricey but it’s actually a steal when you consider that an equivalent set of headphones from Beats Audio that isn’t even water resistant retails for $170. Whenever I get free products like this to review, I always try to ask myself whether or not I would actually pay for them if I had to. In this case, being able to finally listen to music while I run without having to deal with annoying wires and ear buds falling out of my ears would definitely be worth 80 bucks. 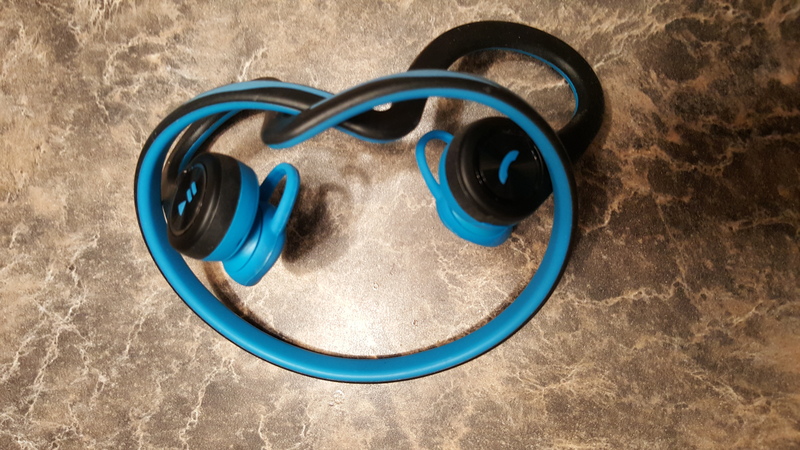 Also, since the Backbeat Fit Headphones are built to be water resistant and durable, it’s probably a better investment to spend a little more up front on something you know will last for a while instead of paying $20 for a pair of cheap ear buds that you’ll have to replace in a few months. So if you’re in the market for a new set of headphones, I hope this review was helpful…. And to the folks at Plantronics: thanks again and keep up the great work! I actually won these headphone during a BibRave #bibchat earlier this summer and I really, really like them. I was in the market for wireless headphones and these were great! Awesome!! I’m glad you got a free pair… and I’m glad you like ’em – I’ve been really happy with mine so far too! That infographic is amazing. I absolutely LOVE that!! Great blog and comparison too!